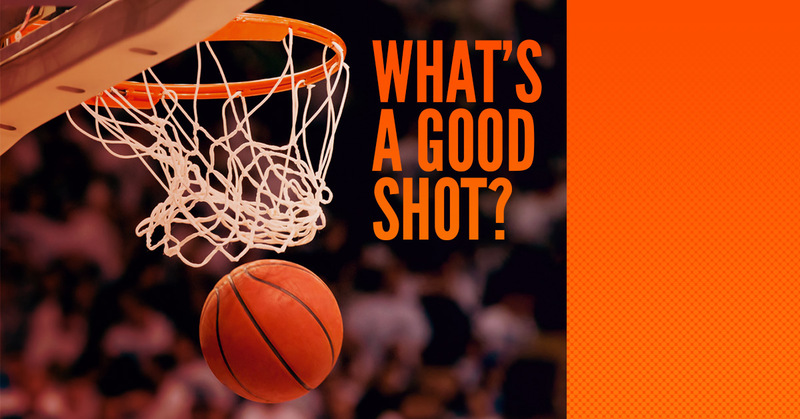 Basketball Camps Lexington: What's A Good Shot? Youth basketball players can practice shooting for weeks and months, but if they don’t have the correct form, they are just creating and reinforcing a habit that can become hard to correct. At Hoop Dreams basketball camp with coach Mike Scott, youth will learn the nuances of correct shooting form and will have the opportunity to practice this form through drills and real games. Before young basketball players begin practicing shooting form on the court, they must understand the fundamentals of the movement and why each motion is important. For any shot, your feet should be pointed towards the hoop, but not necessarily square. If you are a right handed shooter, it may feel more comfortable to point your toes slightly to the left of the rim for an open stance. The feet should also be shoulder width apart to aid in balance. Stagger your feet so that your shooting foot is slightly ahead of the non-shooting foot. Remember, the position should feel comfortable and remain consistent. Line up your feet and your body the same way each time. Ensuring your body is correctly lined up with the rim, you need to find the rim as soon as possible. When shooting the ball, be sure that you are focused on the rim and try not to follow the curve of the ball. Every basketball player has their own shooting pocket position, whether that’s in the center of your body or slightly to the right or the left of their hip, but it should be several inches above the waist. Line up your shooting eye and the ball with the basket. Make sure that when you catch the ball, move it quickly to your shot pocket and keep that position consistent. How you grip the basketball will have a significant impact on your shooting form. Your non-shooting hand should be placed on the side of the ball and is only used as a guide. The final motion of the shot should be done only with one hand. Don’t palm the ball, but balance it on your finger pads. There should be enough space between your hand and the ball for a pencil to slide through. Keep your elbow close to your body and form an “L” with your shooting arm. Keep the ball comfortably over your elbow when shooting. You shouldn’t dip the ball, but motion begins right from the shot pocket. Use your legs, core, and arm power equally to begin shooting the ball. Keep your elbow and your wrist in a straight line towards the rim. Snap your wrist, but keep it relaxed as the ball rolls from your hand and fingertips. Be sure that your index and middle fingers are the last to touch the ball. Your non-shooting hand should not affect the motion or direction of the ball. Keep the ball’s direction in a straight line towards the hoop by extending your follow through and shooting arm towards the rim. This can vary depending on the player, but it is somewhere between your eyes and your forehead. Keep this point consistent with each shot. When you sign up with Mike Scott’s basketball camp, youth basketball players will have expert training and immediate feedback on shooting form. 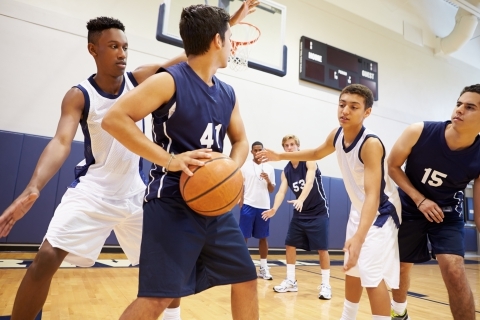 If you’re looking for basketball training, call Mike Scott to learn more about summer basketball camps, leagues, and other basketball training programs. Training at our basketball camps will give youth an opportunity to learn, practice, and keep their shooting form consistent.